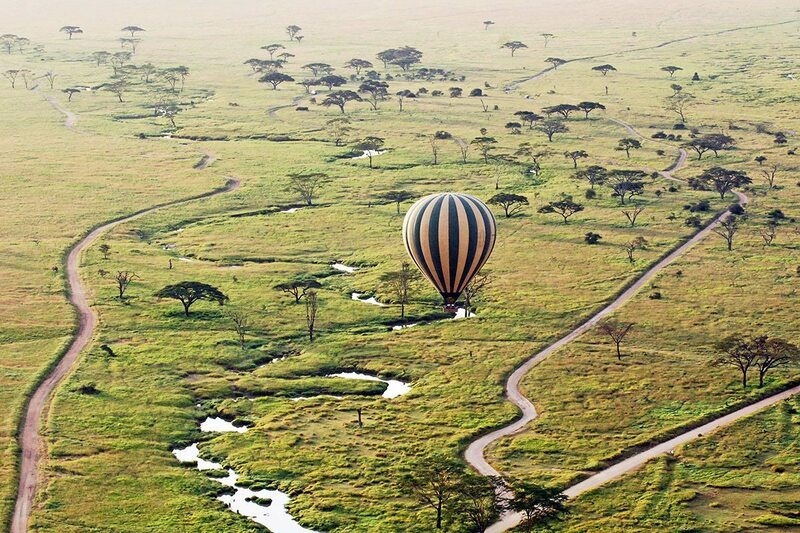 A Masai Mara balloon safari in Kenya is one of those dream-like experiences you’ll tell the grandchildren about one day. 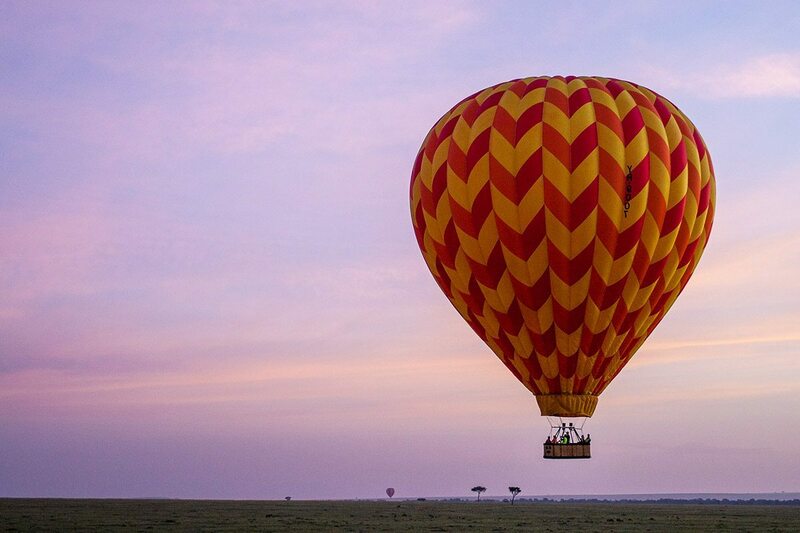 It offers the ultimate ‘romantic Africa’ moment: being suspended in a wicker basket above the untamed plains of Africa with the sun peeping over the horizon and a waking wilderness below you. 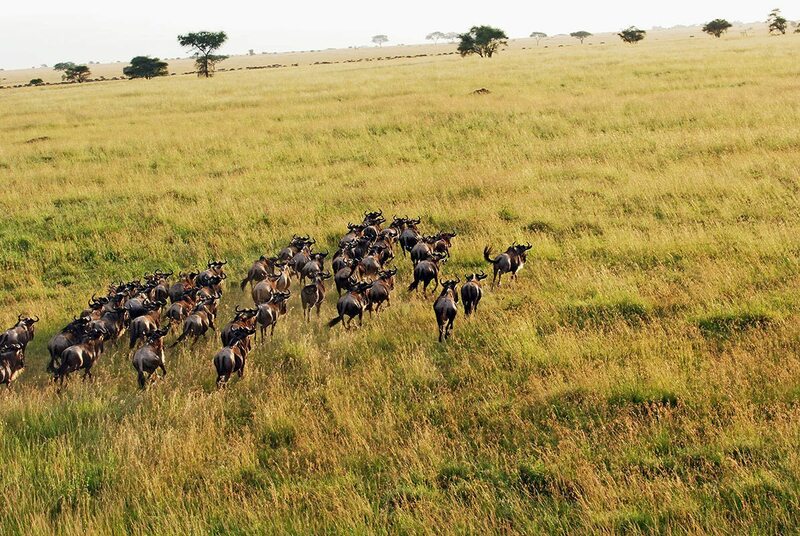 This is game viewing like you’ve never experienced it before. 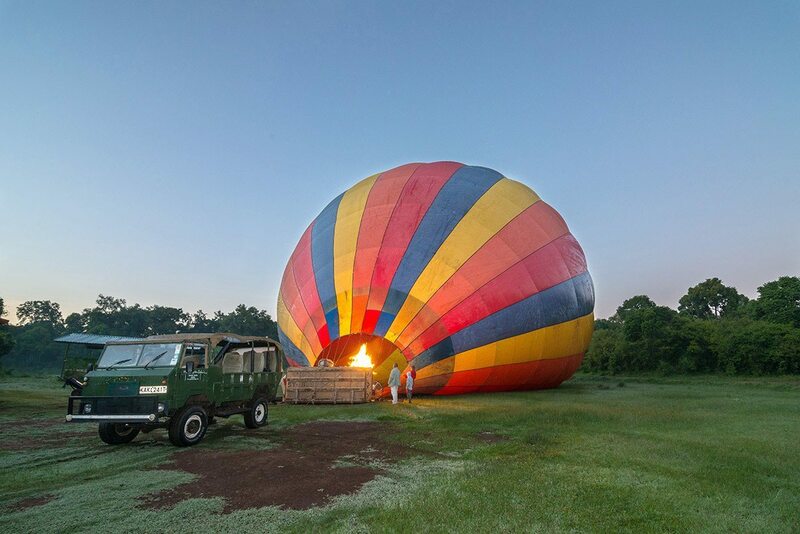 My balloon safari in Kenya’s Masai Mara National Reserve began before sunrise. I was woken in my safari tent with a fresh pot of local coffee. Then I dressed quickly – practical clothes, sweater, binoculars – and joined a small group on the back of an open Land Rover. 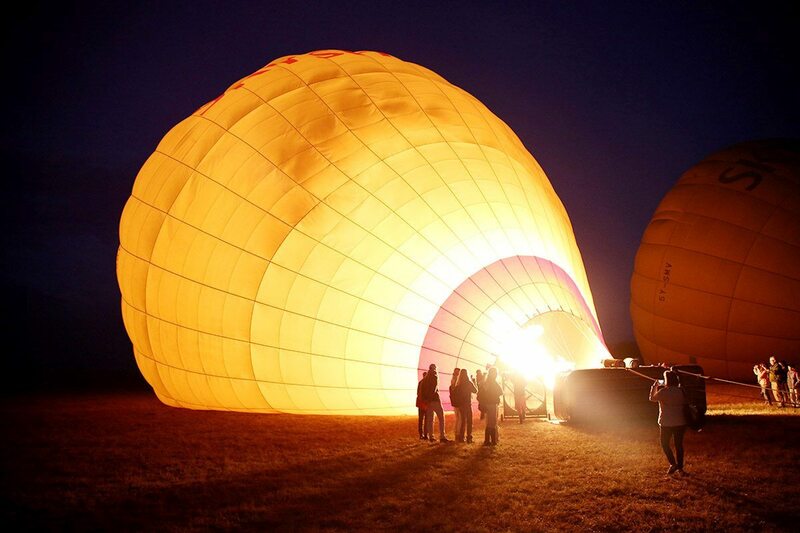 We were driven to the launch site in a bush clearing where a rainbow-coloured balloon lay semi-inflated. Flames from the burners lit the dawn with eerie tongues of fire. 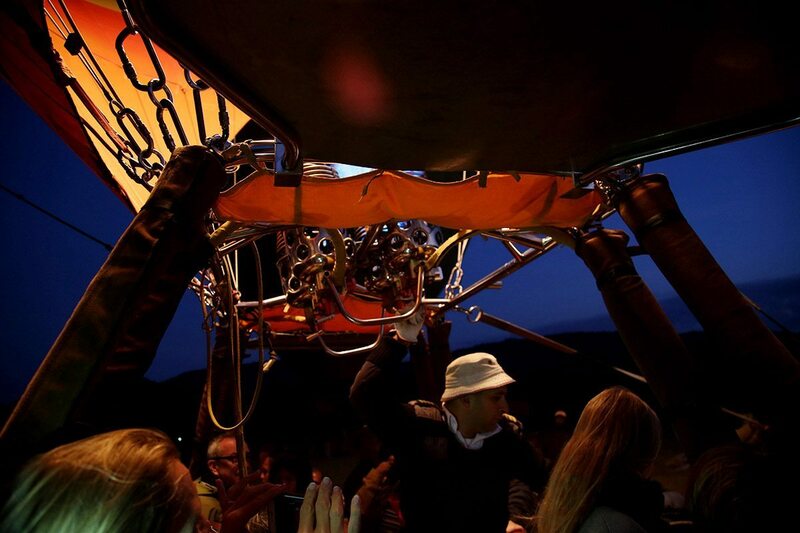 Following a quick safety briefing we climbed into the basket and, with a roar of hot air, lifted off just as the sun started to rise. 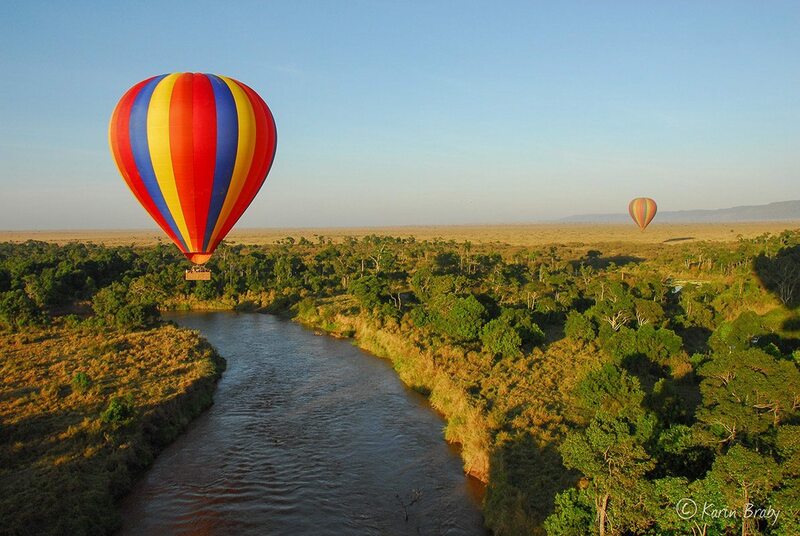 Our intoxicating Masai Mara balloon safari had begun. I closed my eyes, feeling my body soaring upward. It was the most startling and thrilling sensation. While our pilot controlled our height using the burners, the breeze determined our direction, and we drifted steadily northwards. For a time we coasted along the trees, with perched vultures and baboons regarding us almost at eye level. Then we neared the wiggling line of the Mara River. An enormous, supine crocodile noticed us only when we passed directly overhead. With one powerful flick of the tail, it catapulted into the water. Next, the pilot took us higher, using the burners to spirit us upward. 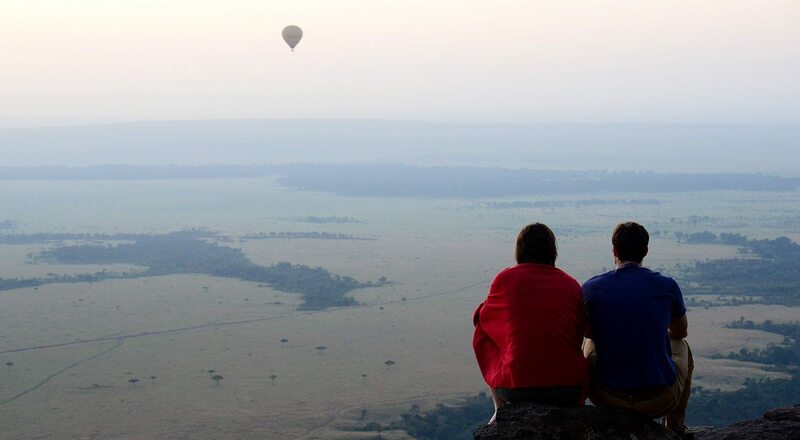 From this lofty vantage, we could see the enormity of the Masai Mara, stretched out like a giant green tapestry. In the distance, we could make out vast swathes of black. 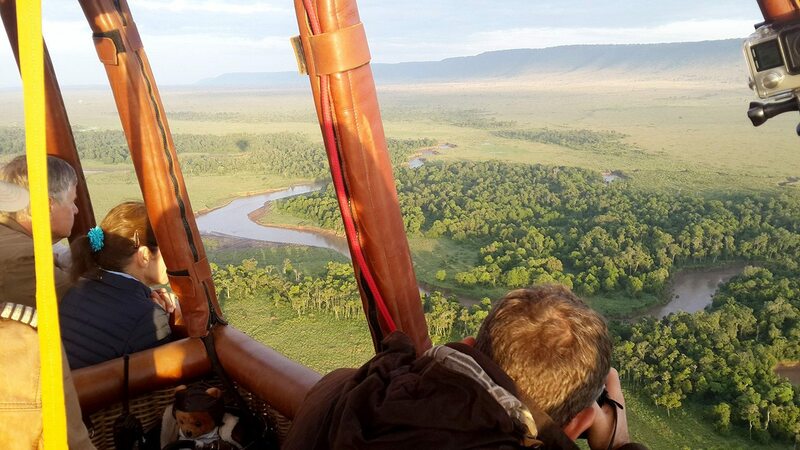 Our pilot explained that these were the first battalions of wildebeest, arriving by the hundreds of thousands as part of the greatest migration on earth. Heart in my mouth, my camera didn’t stop clicking for a moment. Now we were passing over grasslands and the pilot took us back down to within a few metres of the ground, planing on an air cushion in a spell of silence. The Canadian couple beside me held hands and kissed. Buffalo and hyena ran from our shadow, then a serval cat – all spots and artful grace – broke cover and gambolled through the long, red-oat grass. We passed over a herd of elephant who flapped their ears at us, sniffing the breeze with their trunks. We waved at them, laughter spilling from the basket like overflowing joy. After an hour, we drifted back to earth, bounced gently a few times to the delight of our group, before the basket tipped over and we climbed out onto the lush grass. We had landed in a spot prepared by our ground team. 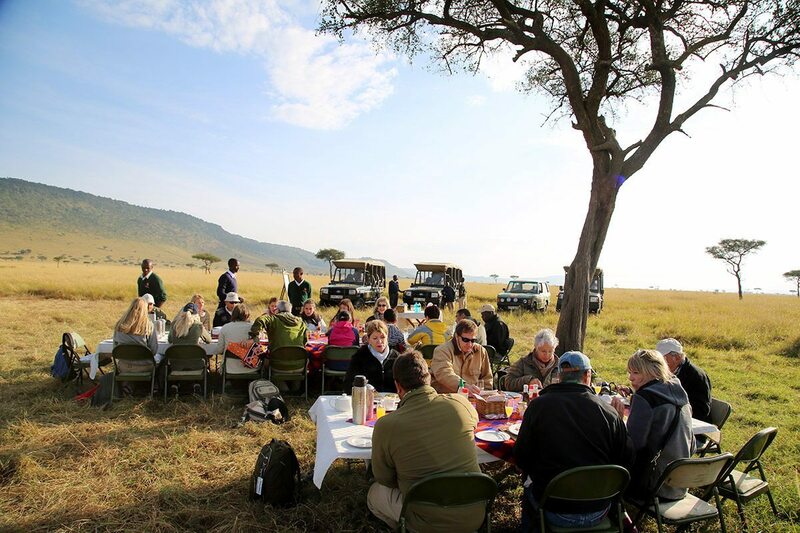 A three-course champagne breakfast was laid out on red table cloths, watched by inquisitive herds of wildebeest. It was a scene straight from Out of Africa, a full English breakfast served with bone china, linen tablecloths and the King’s silver. Masai spears were driven into the ground to deter the yellow-billed kites that cruised above, waiting for an opportunity to raid the table. As we sipped our bubbly and tucked into a hearty, dare I say well-deserved, breakfast, I marvelled at an experience that had, quite literally, blown me up, up and away. After breakfast I received my Balloon Certificate – just to prove to the doubters back home that I’d really done a Masai Mara balloon safari. Then we drove back to the lodge, game viewing en route, arriving at 9.30am, and ready to start the day’s activities. 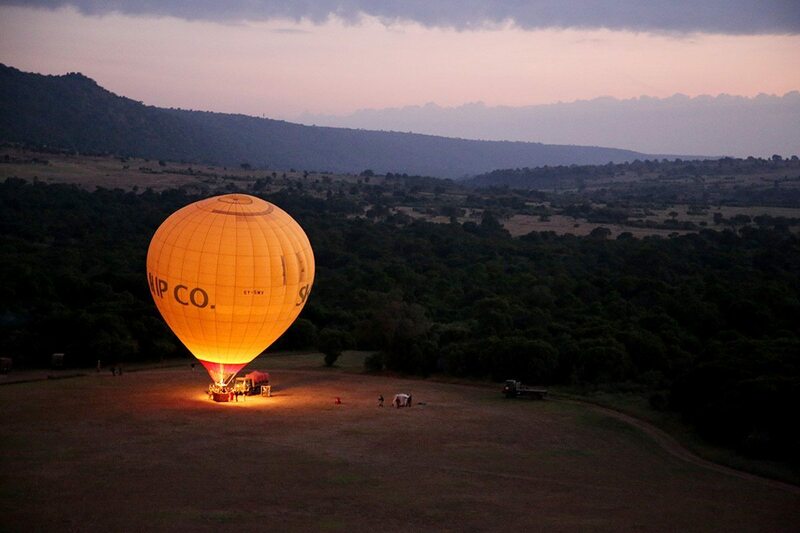 It had been an utterly unforgettable addition to our luxury Kenya safari. 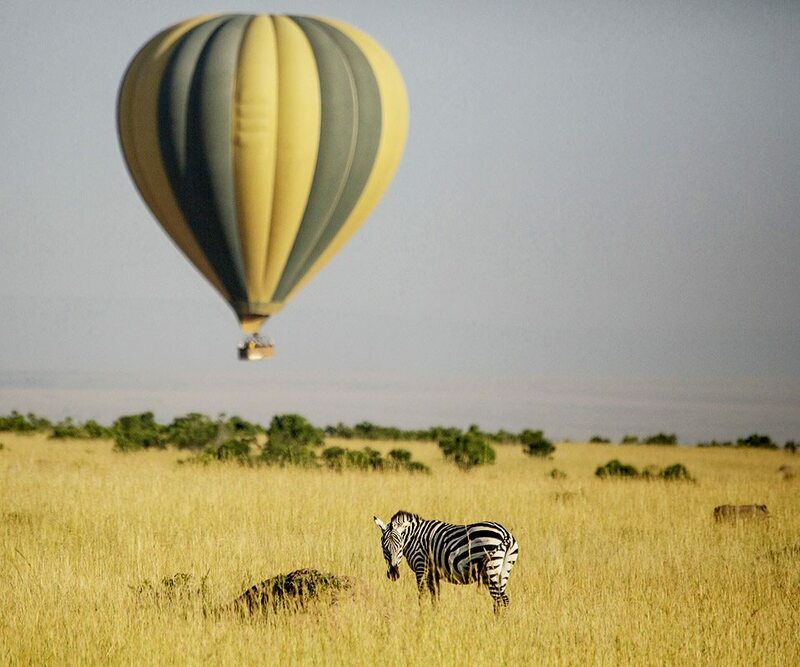 At the right time of year, you'll be able to see the Great Wildebeest Migration from a hot-air balloon. 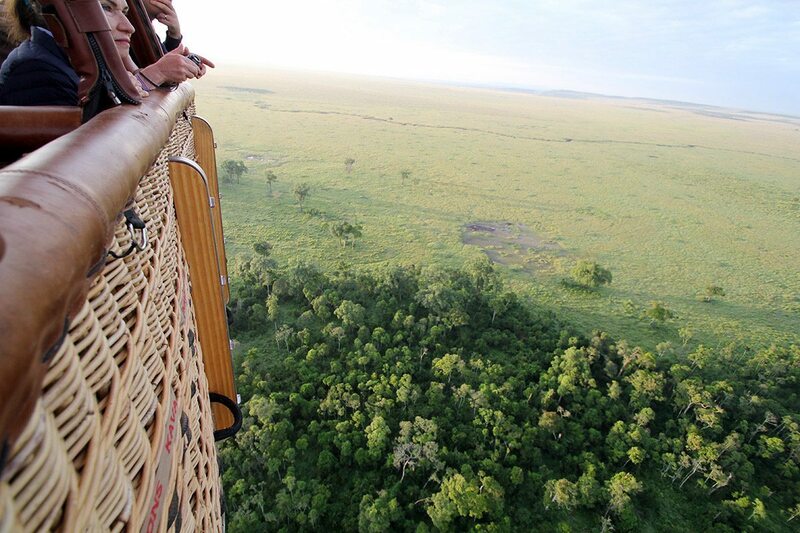 You'll be able to see far into the distance while on a hot-air balloon safari. 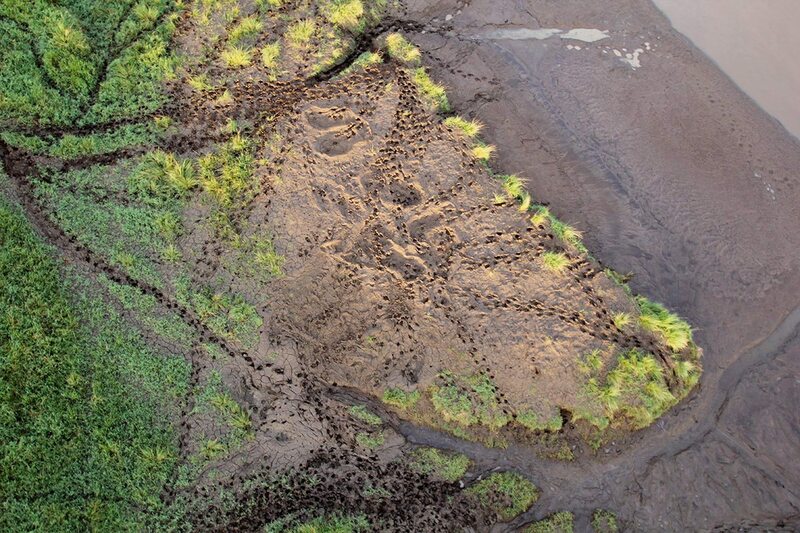 You'll probably be able to see hippo tracks from a hot-air balloon in the Masai Mara. 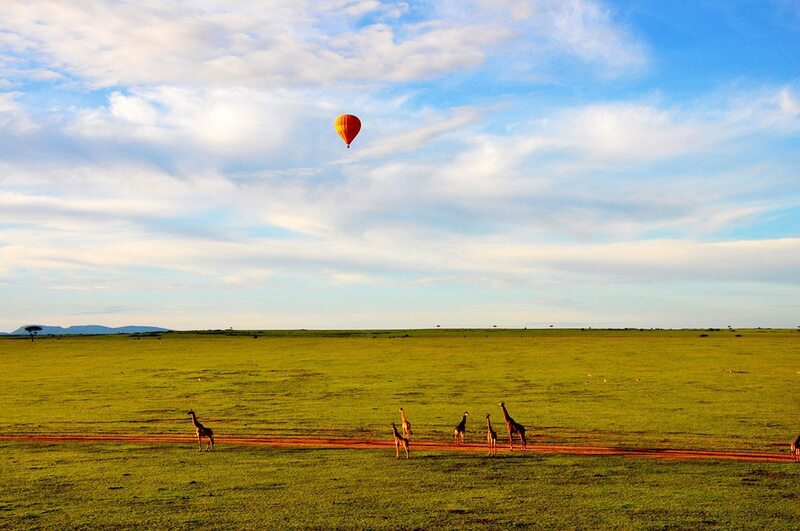 Even tall giraffe are dwarfed by a hot-air balloon safari in the Masai Mara. 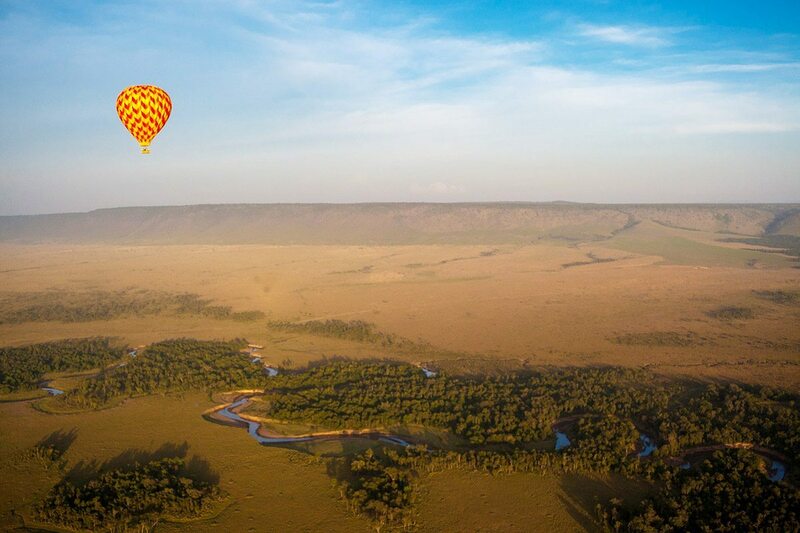 It's fascinating to see how rivers and roads wind their ways across the Masai Mara from a hot-air balloon. 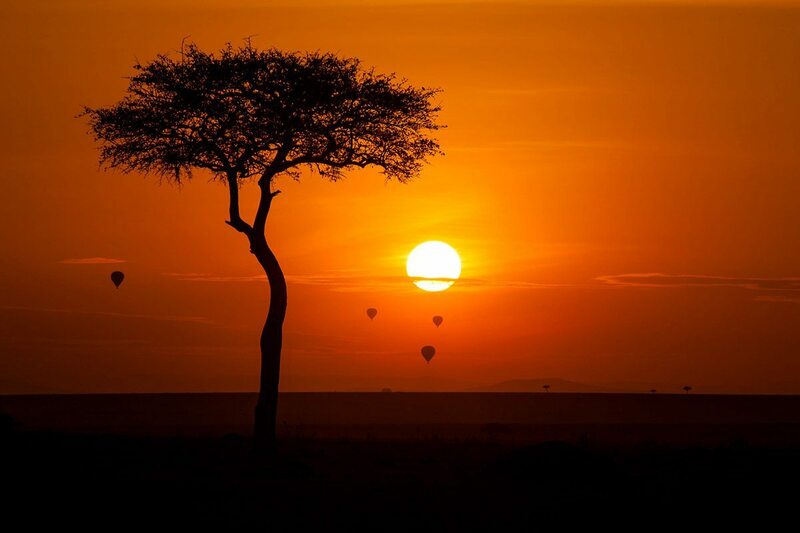 Hot-air balloons always take off in the early morning in the Masai Mara. Cottar’s Bush Villa is situated at the epicentre of safari action, being close to both the Serengeti in Tanzania and Kenya’s Masai Mara. This private Kenya safari house – perfect for families – has an authentic bygone era style, but it often echoes to children’s laughter, heralding a bright future. 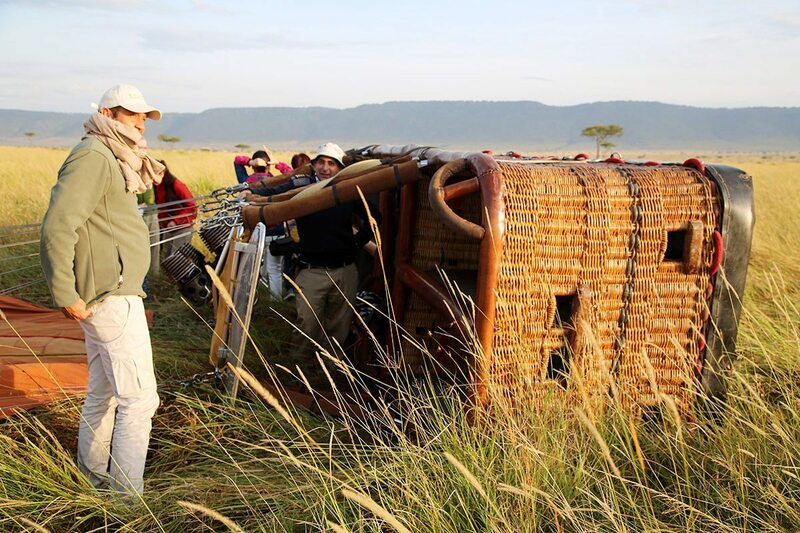 Situated in the private Mara North Conservancy, where it operates in harmony with local Maasai communities, Saruni Mara offers an exclusive safari experience. From this luxury Kenya safari lodge, access the renowned, Masai Mara National Reserve, and all the exciting safari activities it presents. 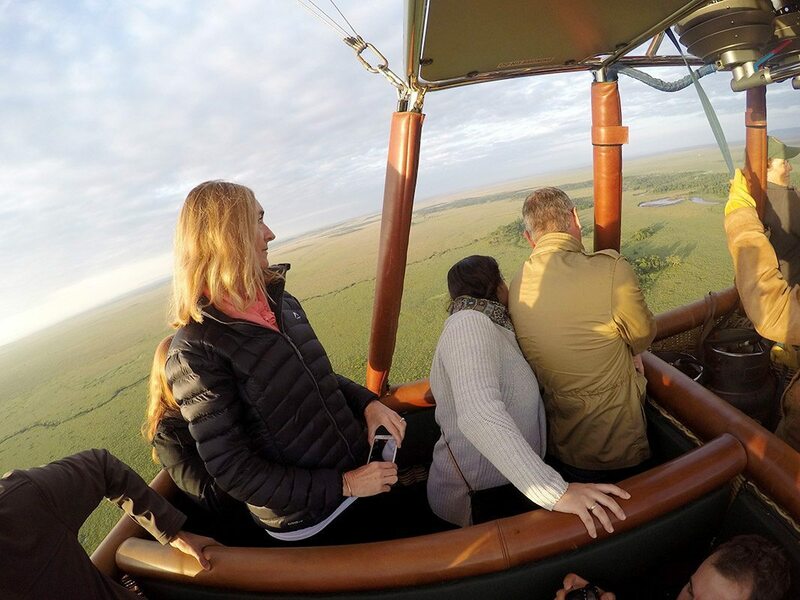 Enjoy uninterrupted views of the Masai Mara and the Oloololo Escarpment at Kichwa Tembo Tented Camp: from your tent, the restaurant or the infinity pool, or nearby on safari, while tracking the Great Wildebeest Migration. Experience a true African adventure by sleeping under the stars at Serian The Nest, a treehouse in Kenya next to the Mara River. Whether a family adventure or a romantic getaway for two, you’ll truly feel at one with the wilderness. Set your own pace at Serian The Original with your own dedicated safari vehicle, guide and spotter and a host of activities, including walking safaris in a private conservancy, fly camping, fishing and sleeping in a treehouse under the stars. Take a step back in time at Kenya’s Cottar’s 1920s Camp, where the golden age of exploration meets modern-day adventure safaris in an untouched, exclusive conservancy. 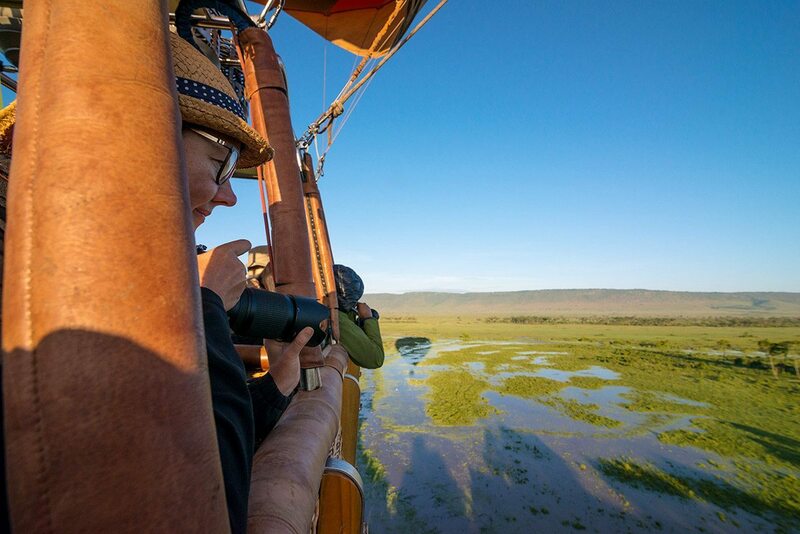 Expect endless savannahs straddling the Serengeti, Masai Mara and Loliondo reserves, with the chance to see an abundance of wildlife with top-quality guides. Cross a narrow wooden bridge suspended over the Ntiakitiak River to reach Mara Plains Camp, located in the Olare Motorogi Conservancy just north of Kenya’s Masai Mara National Reserve. This luxury Kenya safari lodge offers state-of-the-art safaris, top-quality guides and all the bells and whistles for the ultimate safari. Set along the Sand River in Kenya with three crossing points, there’s no better place to watch the Great Wildebeest Migration than at Sand River Masai Mara. When not witnessing this miracle of nature, enjoy billiards, swimming, bush meals and sundowners, or go out and meet the Maasai.